Upgrade the ambiance of any outdoor setting with our new line of decorative	LP portable gas torches. Ambiance	™	Outdoor Fire Features bring you a high quality, easy-to-use and completely portable gas torch	that will extend any outdoor setting. Our contemporary design also incorprates	the latest in safety features and high quality durable components that	will allow you to control the visual aspects of the dynamic flame produced by your	Ambiance	™	Fire Feature. When family, friends and guest gather,	Ambiance	™	Outdoor Fire Features will be there to provide all the benefits of an adjustable, safe, and	clean burning outdoor decorative gas product. The high quality components	incorporated in your	Ambiance	™ unit are designed to bring you many years of outdoor entertaining	enjoyment. Upgrade the ambiance of any outdoor setting with our new line of decorative	LP portable gas torches. 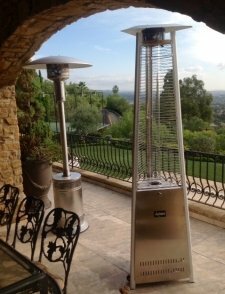 Ambiance	™ Outdoor Fire Features bring you a high quality, easy-to-use and completely portable gas torch	that will extend any outdoor setting. Our contemporary design also incorprates	the latest in safety features and high quality durable components that	will allow you to control the visual aspects of the dynamic flame produced by your	Ambiance™	Fire Feature. 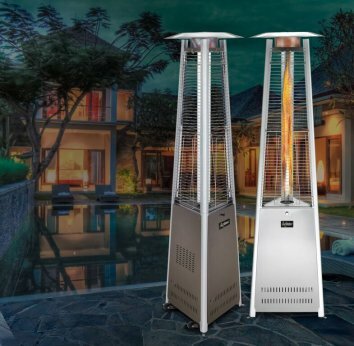 When family, friends and guest gather,	Ambiance™ Outdoor Fire Features will be there to provide all the benefits of an adjustable, safe, and	clean burning outdoor decorative gas product. The high quality components	incorporated in your	Ambiance™	unit are designed to bring you many years of outdoor entertaining enjoyment.